A woman accused of killing her husband in their East Village apartment pleaded not guilty Thursday to voluntary manslaughter and felony domestic violence charges. Paul Etta Vincent, 52, was ordered held on $500,000 bail. She faces 11 years in prison if convicted. 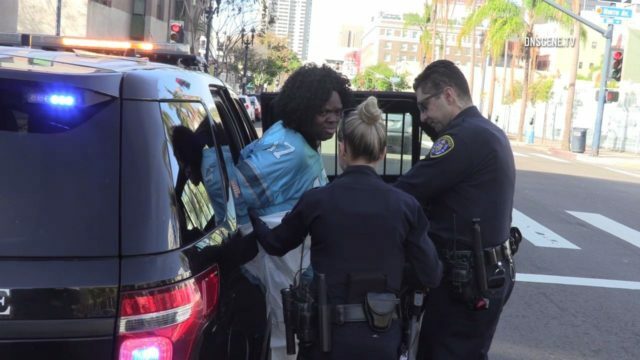 Vincent called authorities around 9:25 a.m. Saturday to report that her husband, 64-year-old Lon Hardin, was on the floor at their apartment at 901 F St., said Lt. Todd Griffin of the San Diego Police Department. She said Hardin was not awake or breathing and she believed that he was dead, the lieutenant said. Vincent will be back in court Jan. 29 for a status conference and Jan. 31 for a preliminary hearing.